I've mentioned the awesome website Llarowe more than once on my blog. 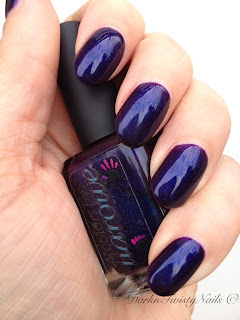 You can find the best indie polishes on this site and I have spend many a dollar there. 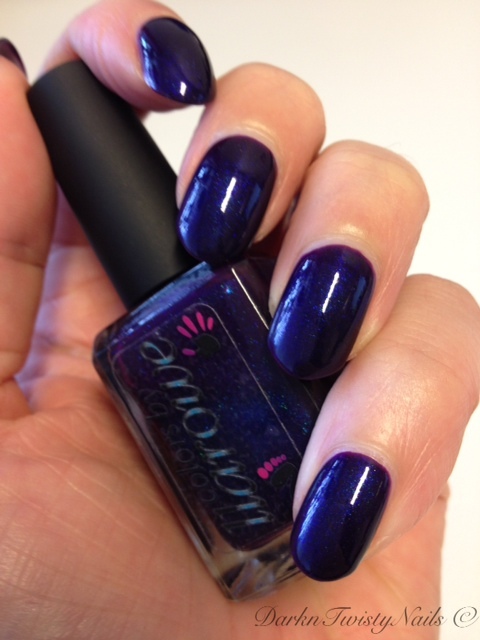 When Leanne announced that she would be releasing her own line of nail polish, I was thrilled! With all that experience with indie polishes, these must be absolutly fantastic polishes. As soon as I saw the first picture of Colors by Llarowe Purple Rain I knew I had to have it! This wonderful deep purple polish had to be mine! 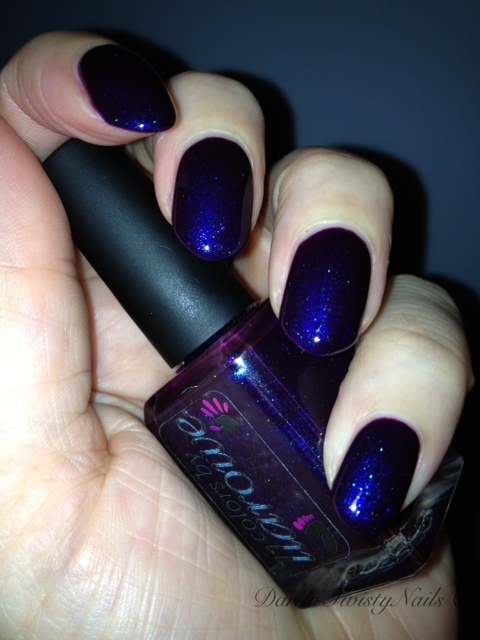 Purple Rain is a dark purple jelly with a ton of blue micro glitter. So gorgeous and unique to my collection. When I painted the first coat, I noticed that the formula was a little weird. Thick and goopy, like trying to paint thick syrup on my nails. I just couldn't get an thin, even coat on my nails. I was wondering if this was the normal consistancy of this polish or did I somehow get a bad one? 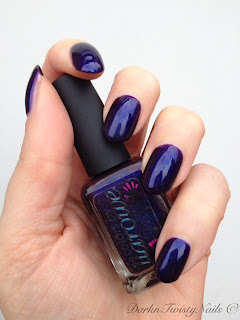 A friend of mine also has this polish, so I checked with here and her polish is actually perfect! So I added just a few drops of thinner to my bottle and that fixed it completely. It was opaque in 3 coats and it dried really fast. I love the understated beauty of this polish, the glitter/shimmer is very subtle, but in sunlight... oh boy... I just can't get over how gorgeous it is! The blue micro glitter really pops, absolutely stunning! I love this polish, I really don't mind that I had to add a bit of thinner. This just happens sometimes. The bottle is also a really big plus in my opinion. The cap is rubbery which gives you a nice grip. The brush itself is nice and thin, but fans out enough to distribute the polish evenly. I am a huge fan! Just look at the blue glitter in this polish! Picture taken at night, but look at that blue glitter! Do you own any Colors by Llarowe? The name really matches the polish...beautiful. I need to get more indie polishes! That's a beautiful polish! The blue glitter is gorgeous!